George Harrison's "My Sweet Lord" is perhaps the most notorious plagiarism case in record biz history dues to its decades-long slog through courts concerning its similarities to the Chiffons' "He's So Fine." Most fascinating to me, though, are the possible effects the lawsuit had on the creativity of such an inventive songwriter. The "My Sweet Lord" saga likely informs everything Harrison wrote from 1971 onward. The Chiffons - "He's So Fine" (Billboard #4, entered 2/23/63). Written by Ronnie Mack. Produced by Bright Tunes Productions. 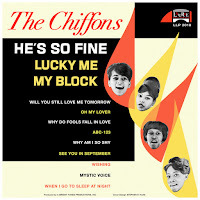 45: "He's So Fine"/"Oh My Lover" (Laurie 1963). LP: He's So Fine (Laurie 1963). The song Harrison was sued for plagiarizing when his "My Sweet Lord" became a hit had entered the US charts in 1963 and reached #12 in the UK that same year. 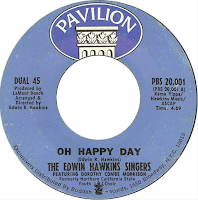 Edwin Hawkins Singers - "Oh Happy Day" (Billboard #4, entered 4/26/69). Written by Edwin R. Hawkins. Produced by La Mont Bench. 45: "Oh Happy Day"/"Jesus, Lover of My Soul" (Pavilion 1968). LP: Let Us Go Into the House of the Lord (Pavilion 1968). This popular gospel recording by the Edwin Hawkins Singers, featuring the lead vocals of Dorothy Morrison, updated an eighteenth century hymn. It reached #4 in the US and #2 in the UK and most certainly influenced Harrison while creating "My Sweet Lord," but never came up in court. Hawkins claimed writer's credit for arranging the public domain piece (and also its B-side, Charles Wesley's "Jesus, Lover of My Soul"). 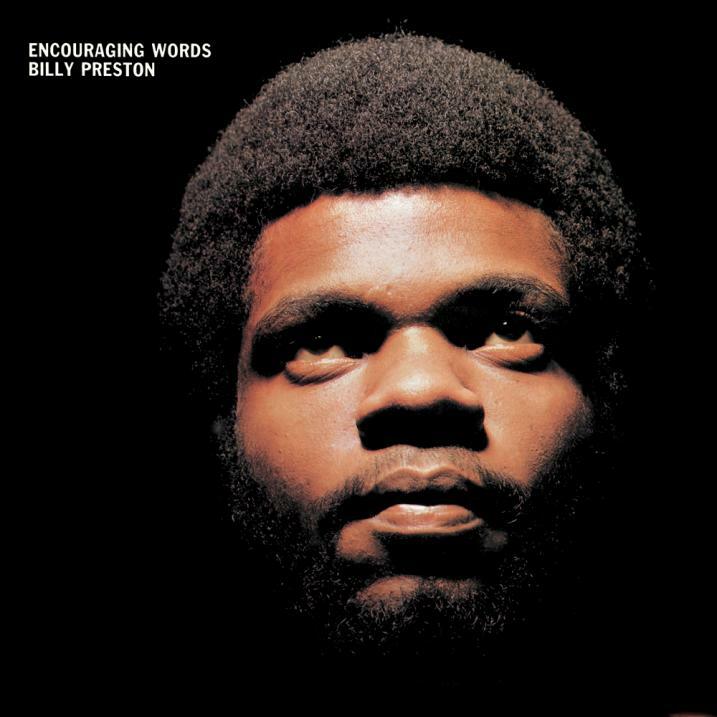 Billy Preston - "My Sweet Lord" (Billboard #90, entered 2/13/71). Written by George Harrison. Produced by George Harrison and Billy Preston. 45: "My Sweet Lord"/"Little Girl" (Apple 1970). LP: Encouraging Words (Apple 1970). Billy Preston's chugging interpretation of "My Sweet Lord," co-produced by Harrison, appeared on his Encouraging Words album two months before Harrison released his own version. The single entered Billboard's Hot 100, though, in early 1971. 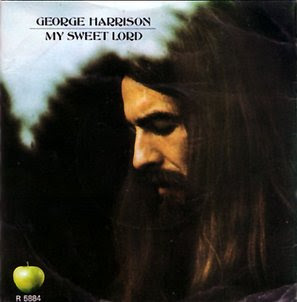 George Harrison - "My Sweet Lord" (Billboard #1, entered 11/28/70). Written by George Harrison. Produced by George Harrison and Phil Spector. 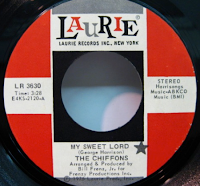 45: "My Sweet Lord"/"Isn't It a Pity" (Billboard #1 [flip], entered 11/28/70) (Apple 1970). 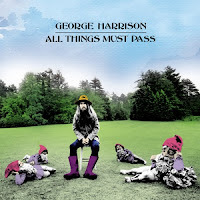 LP: All Things Must Pass (Apple 1970). Harrison's glorious lead off single from his All Things Must Pass album. It still stands as a distinct entity, no matter how much it may have borrowed from both "He's So Fine" and "Oh Happy Day." 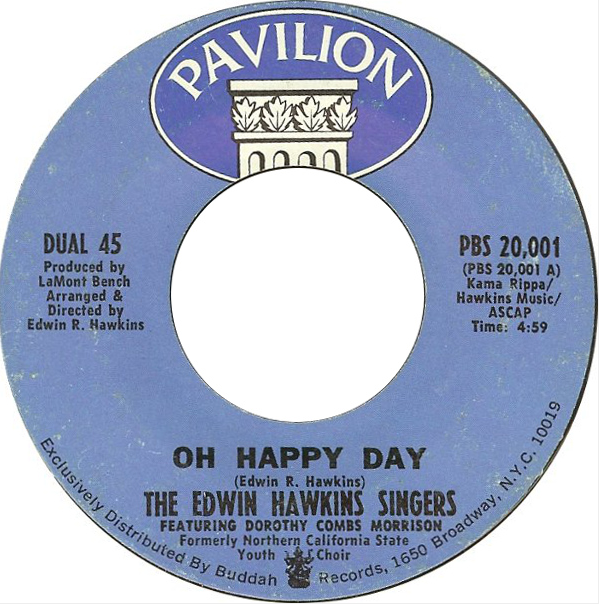 Harrison's - and co-producer Phil Spector's - awareness of its similarities with the recent public domain hit "Oh Happy Day" likely deflected notice that the song also shared marked similarities with "He's So Fine." How else to explain it? Spector had major girl group credentials, and it shouldn't have been lost on him. John Lennon in 1980: "He [Harrison] must have known, you know. He's smarter than that... Maybe he thought God would just sort of let him off." The single's flipside, "Isn't It a Pity," clocked in at 7:10 and charted in tandem with "My Sweet Lord" as a double A-side, as per Billboard policy at the time. Its lyrics about heartbreak - then and now - sound like symbolic commentary on the dissolution of the Beatles and their era. 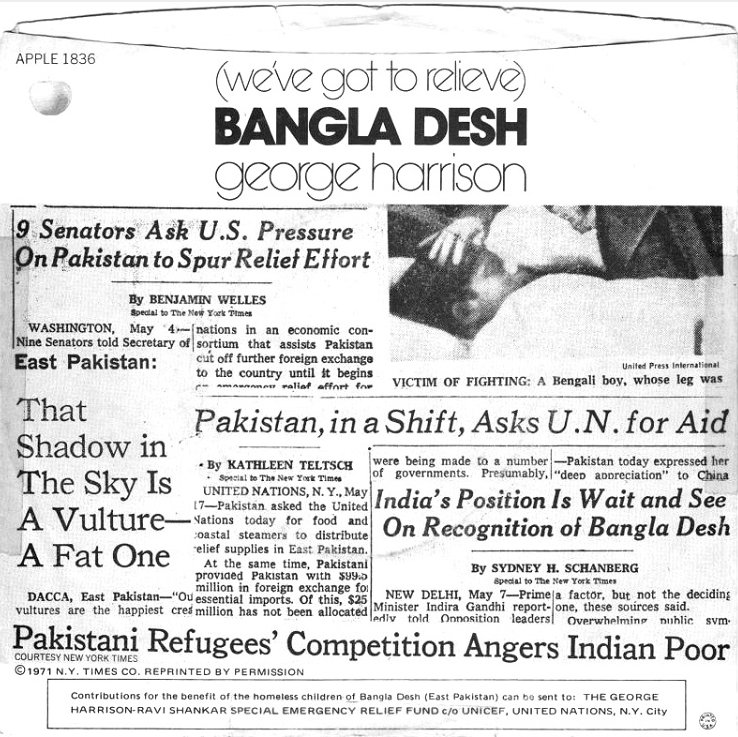 George Harrison - "Bangla Desh" (Billboard #23, entered 8/14/71). Written and produced by George Harrison. 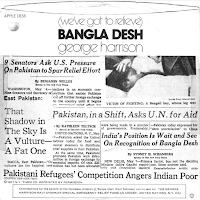 45: "Bangla Desh"/"Deep Blue" (Billboard #23 [flip], entered 9/11/71) (Apple 1971). LP: The Best of George Harrison (Capitol 1976). In February 1971, Bright Tunes Music, the company that owned "He's So Fine" at the time, filed suit against Harrison for plagiarism. 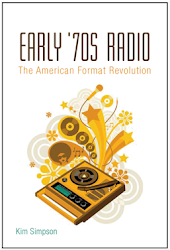 It's unclear whether the suit was common knowledge before 1976, when stories about it finally appeared in Billboard, Rolling Stone, and the New York Times. Harrison's "Bangla Desh" single, which featured complicated, non-intuitive chord changes and low memorability alongside a dour, uninviting demeanor, perhaps responded to the lawsuit as much as it did to the devastating famine in Bangla Desh. Harrison's post-1971 catalog would repeatedly tend toward unconventional, busy chord changes and elusive melodic turns in this way, as if to ensure ownership. The flipside was called "Deep Blue," which earned charting status a month after "Bangla Desh" did. It made up for the A-side's severity with easy, major-to-minor acoustic guitar contentment. Oddly enough, the song hung in limbo as a non-album offering until just recently. 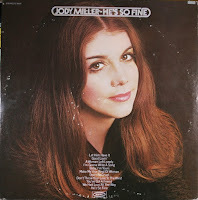 Jody Miller - "He's So Fine" (Billboard #53, entered 6/26/71; country #5). Written by Ronnie Mack. Produced by Billy Sherrill. 45: "He's So Fine"/"You Number Two" (Epic 1971). LP: He's So Fine (Epic 1971). 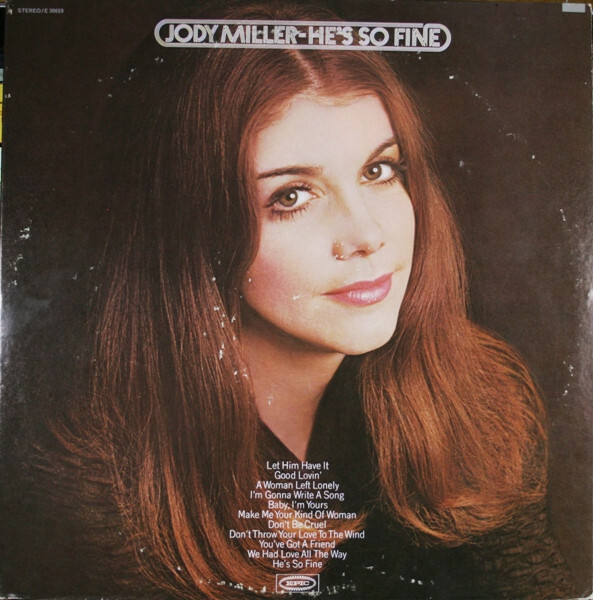 The American country singer Jody Miller's version of "He's So Fine" verged on mockery, with an arrangement that borrowed blatant motifs from "My Sweet Lord." The Chiffons - "My Sweet Lord" (did not chart). Written by George Harrison. 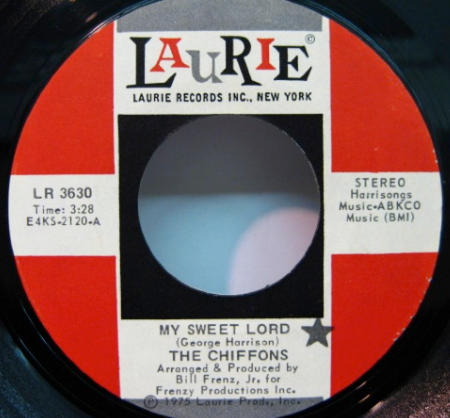 Produced by Bill Frenz, Jr. 45: "My Sweet Lord"/"Main Nerve" (Laurie 1975). LP: (no album appearance). One wonders whether Harrison viewed the Chiffons' sunny, pot-stirring 1975 cover of "My Sweet Lord" as a cheer or a jeer (or if he even knew of its existence). George Harrison - "My Sweet Lord 2000" (did not chart): Harrison's 2000 revisitation of the song self-consciously alters the memorable melodic aspects that initially got him in trouble. 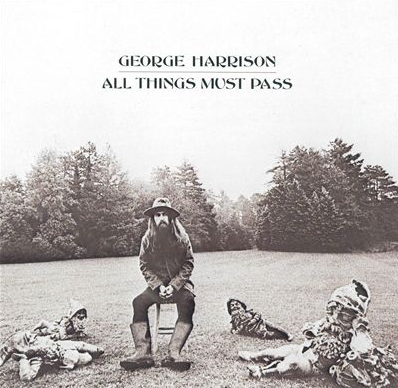 In the years following the "Bangla Desh"/"Deep Blue" 45, Harrison would release Living in the Material World (1973), Dark Horse (1974), Extra Texture (1975), and Thirty-Three and 1/3 (1976), albums that each include one or two memorable tracks among a majority of (deliberately?) unmemorable ones. In 1976, Harrison would be found guilty of "subconscious plagiarism" by the U.S. District Court with damages of $1.6 million. Harrison would later admit to having become "paranoid" about writing anything new. In 1978, Allen Klein, who was Harrison's diabolical former business advisor, bought Bright Tunes and offered it to Harrison for exactly $1.6 million. In 1981, judges would decide that Klein had been duplicitous, ordering him to transfer ownership of Bright Tunes to Harrison for half a million. Although this ensured "He's So Fine" as Harrison's property, legal dickering regarding administrative fees and the like carried over into the 1990s. In 2001, Harrison released an updated version of "My Sweet Lord" as a bonus track on the All Things Must Pass CD reissue, with his new lead vocal dancing purposefully around the original melody in a way that likely would not have attracted a lawsuit back in 1971.